Q: What should DACA recipients do to prepare for its expiration? A conversation with Sameer Ahmed, ACLU SoCal immigration attorney and Luis Nolasco, ACLU SoCal community engagement and policy advocacte and DACA recipient. A: Speak with an attorney. Making sure you're talking to an attorney to see all your options. A: Take advantage of DACA employment authorization now. With DACA comes the employment authorization so you're able to work legally now in the country. We would encourage you to seek employment so that you can continue to have that economic stability. In the state of California, DACA recipients are eligible for full-scope Medi-cal if you meet the income requirements. (California state legislation) AB60 pretty much allows anybody and everybody to be able to apply for a driver's license in our state. Licenses under DACA expire at the same time as DACA status. AB60 licenses do not. The most important thing is to get a Social Security number. If you have DACA and you haven't gotten a Social Security number, make sure to do that ASAP (as soon as possible). Once you get a Social Security number, it's yours for life. 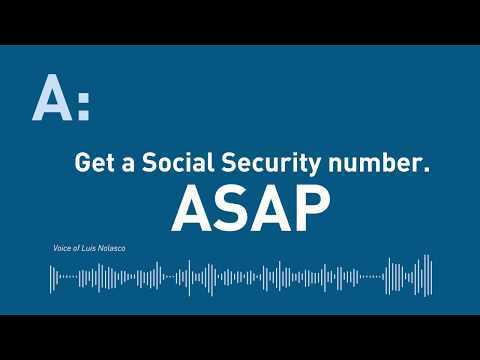 You won't be able to work with just a social security number, but you will be able to use it for other things. Take advantage of this time now to get those things but also to get prepared. We really encourage you to have a backup plan and a family plan prepared should anything happen. (See Immigrant Legal Resource Center's Family Preparedness Plans in English (PDF), Spanish, and Chinese (PDF). Q: Between now and March 6, 2018, what precautions should I take? What shouldn't I do? Q: Between now and March 6, 2018, what precautions should I take? What shouldn’t I do? A: Advance Parole documents are technically still valid. But re-entry is always a risk. Consult with an attorney for your specific situation. Sameer Ahmed: There is, though, a caveat. It's that the government says when you leave, and your ability to come back is at the discretion of the government and at the discretion of the border official at the port of entry. Luis Nolasco: Not talking, not saying anything more than you should when encountering law enforcement. Luis Nolasco: Not signing any documents that are presented to you unless you know what it is. 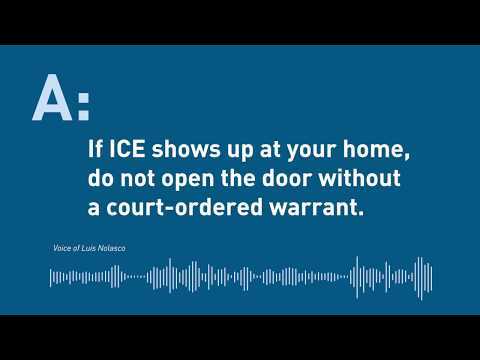 Luis Nolasco: and most importantly: if ICE shows up to your home, to not open the door unless they have a warrant. Luis Nolasco: The most important thing for our community to know is that the moment one of our community members falls into jail, to already start looking for immigration attorneys, or start thinking about the immigration consequences. Q: Should I engage with services & agencies connected to local, state, & federal government? Q: Should I engage with services and agencies connected to local, state, and federal government? A: Yes. California state agencies have said they will not proactively share information with ICE. Sameer Ahmed: California state agencies and a lot of local agencies have said that they will not proactively share information with ICE, with immigration enforcement. 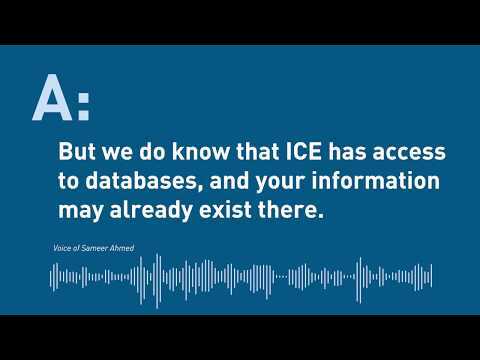 A: But we do know that ICE has access to databases, and your information may already exist there. Sameer Ahmed: The one cautionary measure, though, is that we know that immigration enforcement has access to a lot of databases, and in these databases, it could contain information that you may have provided now or in the past. For help with DACA renewals, go to our DACA resource page.